Get ready for an adventure! 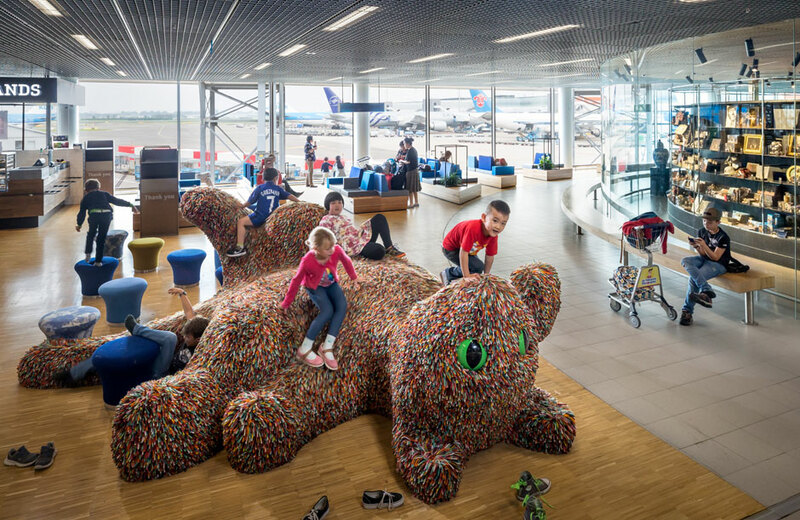 Schiphol is a great place for young children, with plenty of activities and fun things to do. Let your young ones burn off some pre-flight energy before their flight so they will feel calmer on-board. NEMO is a science museum in Amsterdam and one of the country’s most popular family attractions. It is filled with interactive games and activities, where young ones can learn more about science and technology. Schiphol has a small offshoot of Nemo, with 8 cool exhibits where you can make sound waves visible, tame electricity and mix your face with that of someone else's. So many kids want to know what it's like to be a pilot. With that in mind, we collaborated with KLM to create a cool and colourful toy airplane, located on the first floor of Lounge 2. Kids can run and jump around with glee while the rest of the family keeps a watchful eye from the surrounding picnic tables. Free hugs at Schiphol! Your young ones will love the enormous stuffed animals on Holland Boulevard, created by artist Florentijn Hofman. Let your kids cuddle and play around with the toys, while you enjoy a great view over the platform. 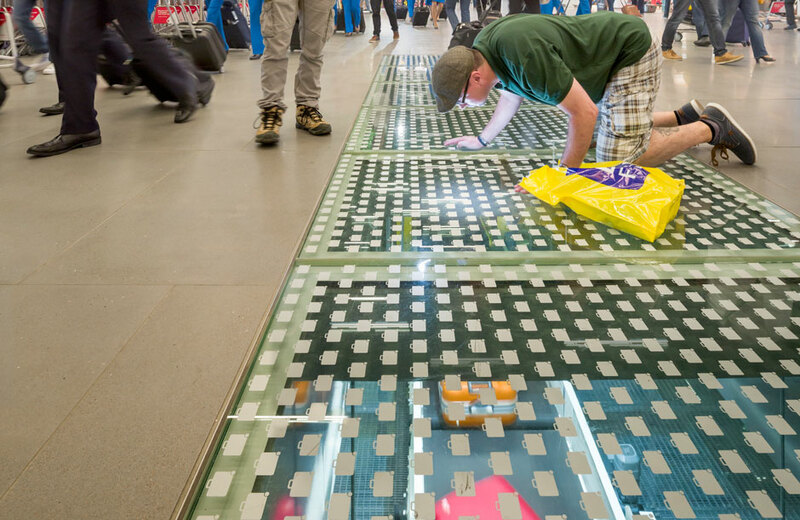 Schiphol processes tens of millions of suitcases a year using its ultramodern baggage handling sys-tem. If you want to know how it works, head to the escalators in Lounge 2. There is a window on the ground where you can see the inner workings of the system. 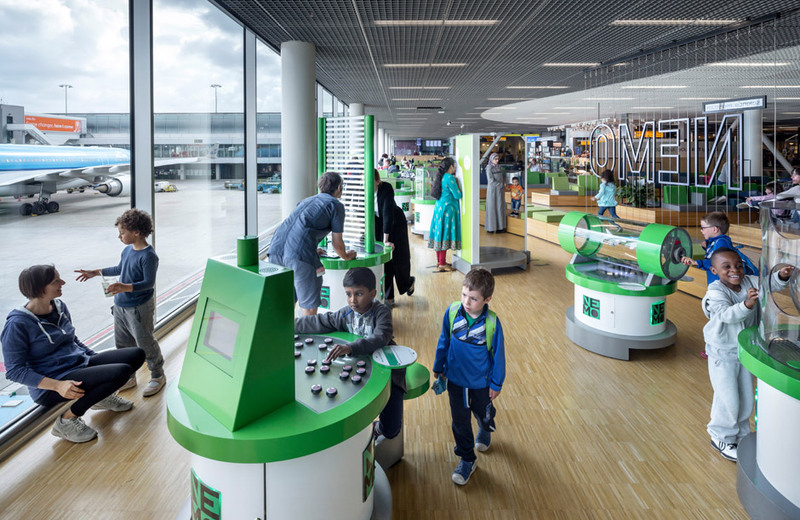 ‘Let’s Play’ and ‘Toys’ are two of the best places to visit with your youngsters at Schiphol. Each shop holds a great selection of cuddly toys, games, puzzles and more – from classics to the coolest must-have collectibles. You’re bound to find whatever toy you’re looking for right here!